We email a check-in confirmation and task list to the support network so everyone can be involved. We call every weekday, at a selected time,to check-in and send a confirmation to a list of loved ones. If a contact is not made, an alert message is sent. We email a task list of what the senior needs that day to the support network so that everyone can know how to lend a helping hand. 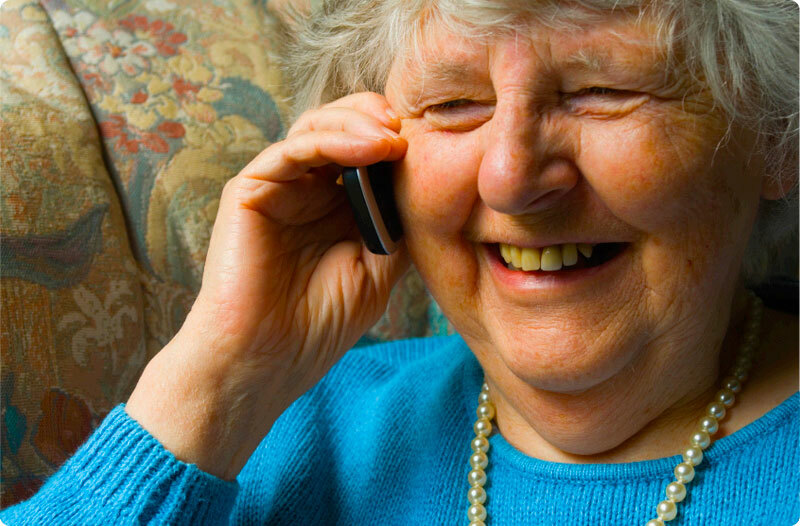 We connect with your senior every weekday so that they are constantly in touch with their entire support network. We also connect your senior to their community through referrals to public and private services as needs arise. "The girl who calls to check-in is great - she is always in a good mood and I look forward to chatting with her. She sends updates to my kids every day and they come by if I need something. I like that Care Chat really cares about how I'm doing."